What's better than a classic red manicure? 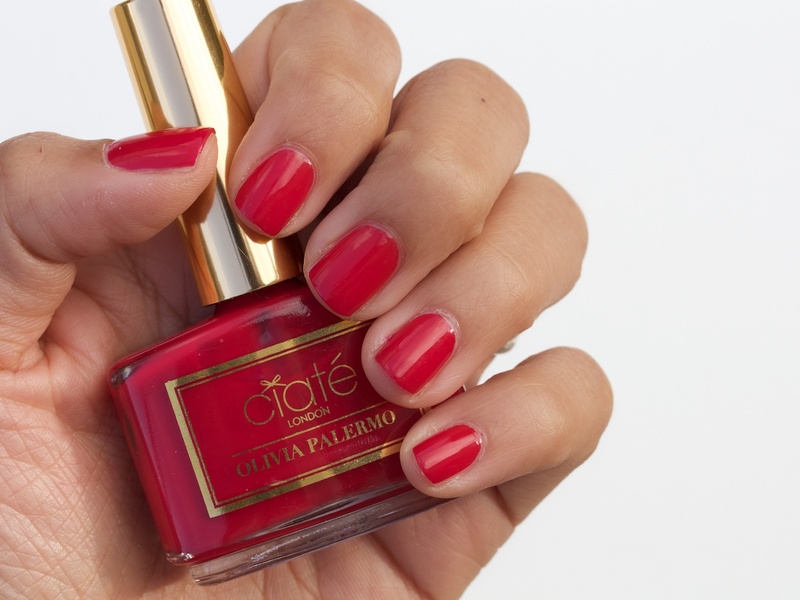 A classic red mani using the Olivia Palermo x Ciaté London polish in Hutch, of course. 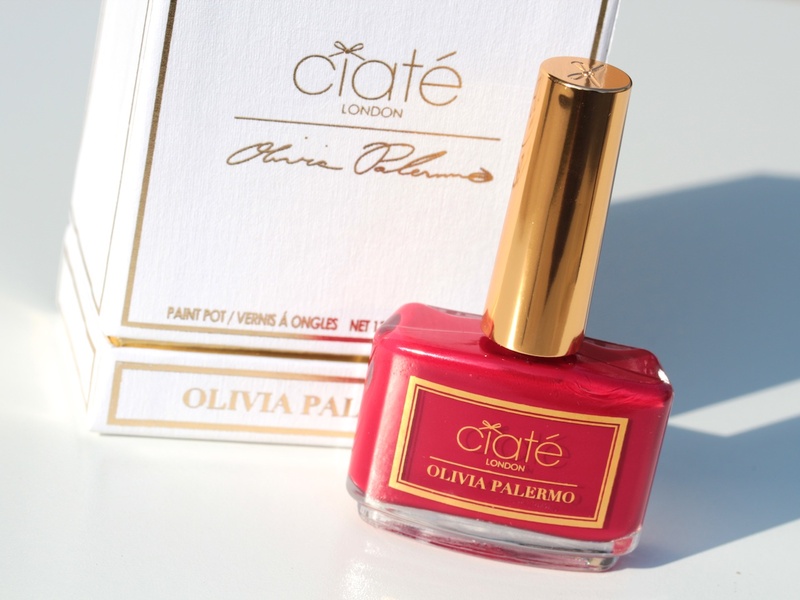 Olivia Palermo has teamed up with Ciaté to create a collection of polishes (limited edition, I think). There are currently three in the line-up: Nantucket (a fun coral), Sundays (a pale pink), and Hutch (a classic red). After hearing about this release, I flocked to the nearest Sephora to scope these polishes out. While the other two colours are nice (Sundays may be my next purchase, but I may skip Nantucket, though), Hutch was the one I knew I had to have. Hutch is described as Olivia Palermo's "go to red" and I'm not ashamed to admit that it has become mine now, too. Priced at a cool $29 CDN, it's definitely not cheap. Fortunately, it doesn't feel/apply that way. The brush is the perfect width for an easy application, the formulation is smooth, and it is opaque in one coat. Shown is me quickly slapping on one haphazard coat in a fury of excitement—but it still turned out great! It's also incredibly glossy on it's own, but the added topcoat doesn't hurt. Lasting power is average on me—about 4-5 days without chipping, but the great colour & ease of application is worth it. 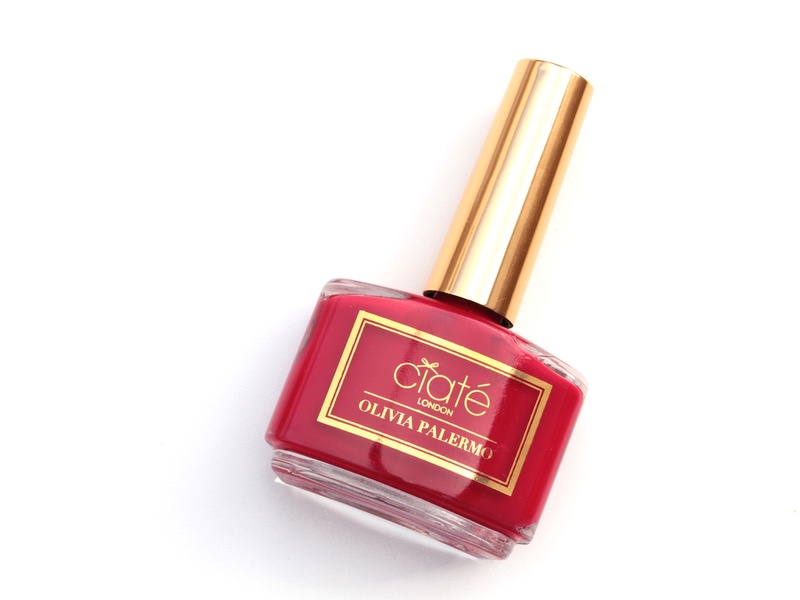 Will you be picking up any of the Olivia Palermo x Ciaté polishes? BTW—these can be found exclusively at Sephora (they're in stores now & they're also available to be shipped on Sephora.ca). whoa, that's one coat on your nails? AMAZING.